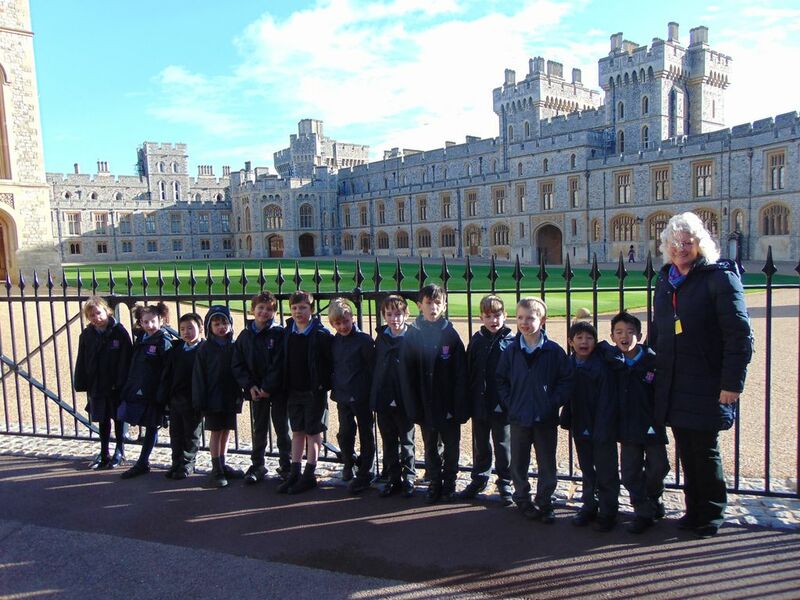 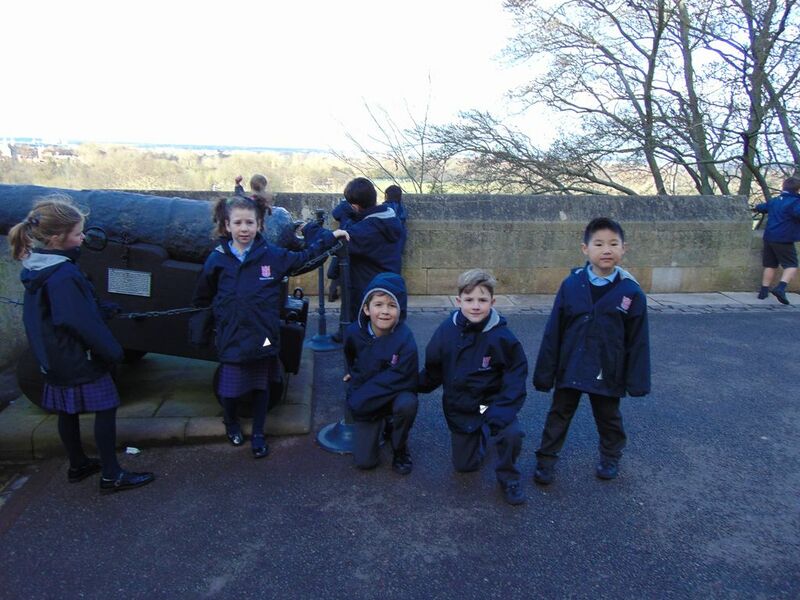 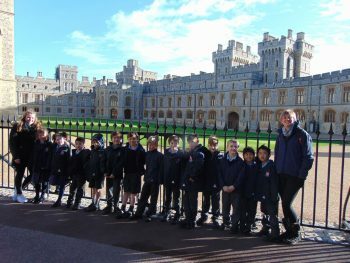 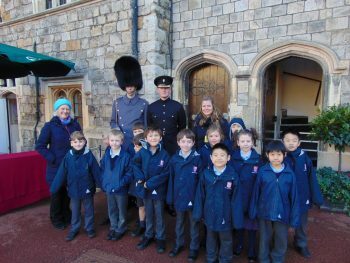 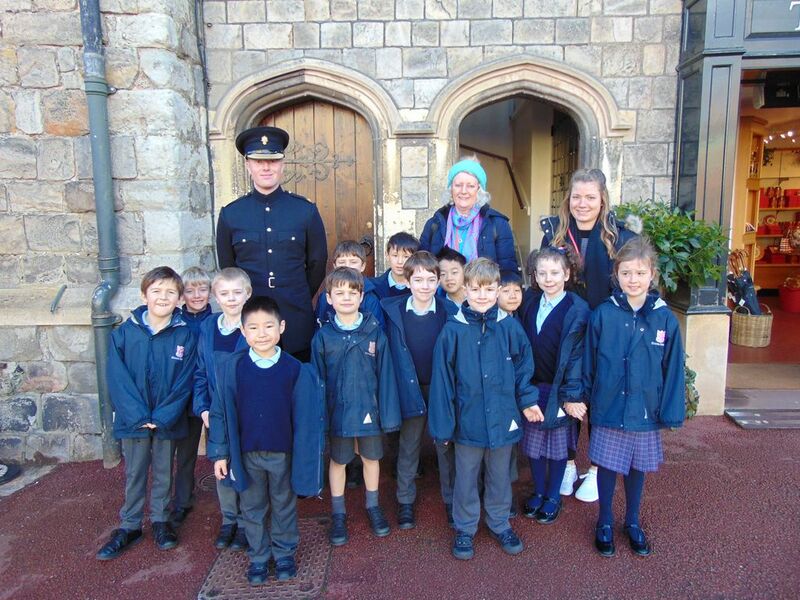 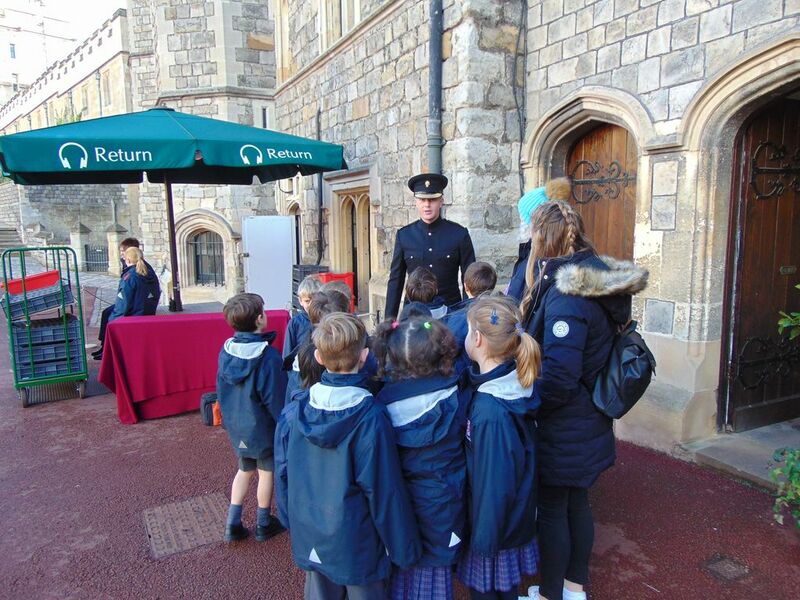 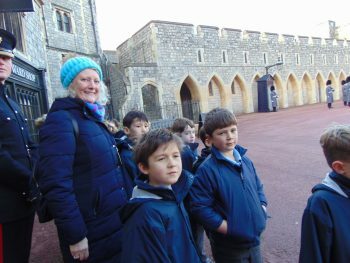 After much discussion as to whether the rain would disappear the morning of our trip, Year 2 arrived at a very sunny Windsor full of excitement to see if the Royal Standard was flying. 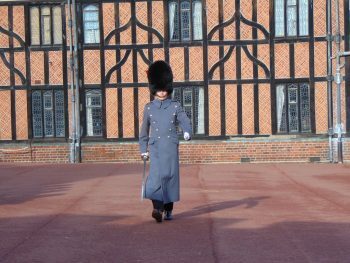 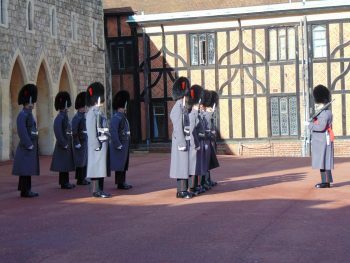 Fortunately for us the disappointment of the Queen not being in her residence was quickly forgotten by the arrival of Sam, Lieutenant of the Grenadier Guards. 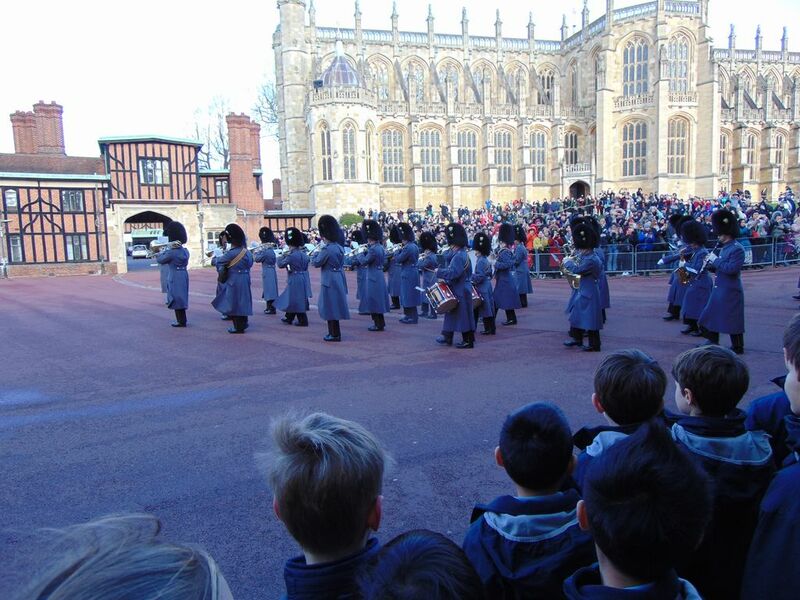 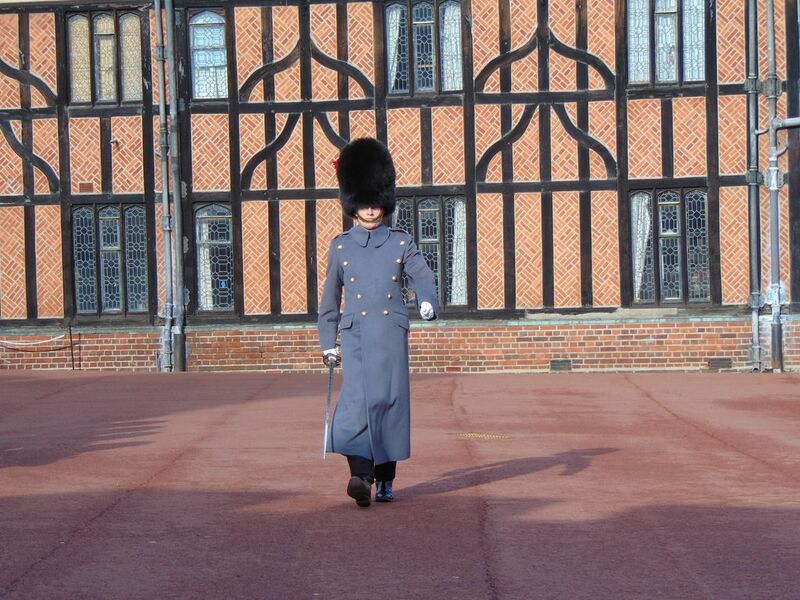 With great enthusiasm amongst the group, Sam led us round to the Lower Ward to watch the Changing of the Guards. 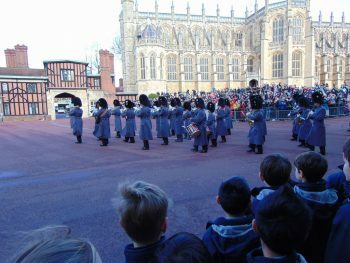 We were extremely lucky to have permission to stand inside the public barriers, experiencing the Officers, Marching Band and Guards walking directly pass us. 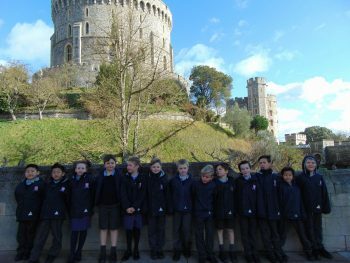 After we had listened to the music and the ceremony had come to a close, we moved on to explore St George’s Chapel looking at the stained glass windows, the memorials and the amazing Coats of Arms of the Knights of the Garter. 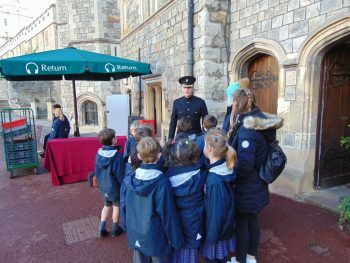 As we walked through the Chapel it invited numerous questions from the children about the recent Royal Wedding of Harry and Megan – this built for the excitement of our afternoon ahead. After lunch our next adventure led us through the ‘death holes’ and past the many arrow slits of the castle and then onto the State Rooms. 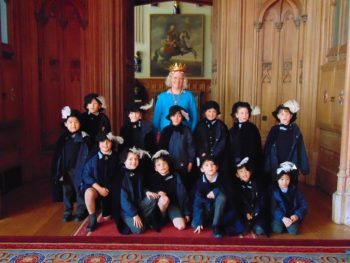 The children were ecstatic as we walked in to see all of the weapons, armour of Henry VIII and the Duke and Duchess of Sussex’s wedding outfits. 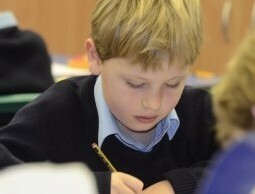 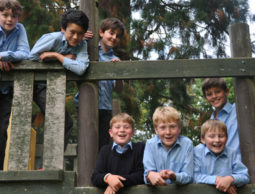 During the afternoon we has a lively talk from Mrs Jones who spoke to us about how to become a knight. 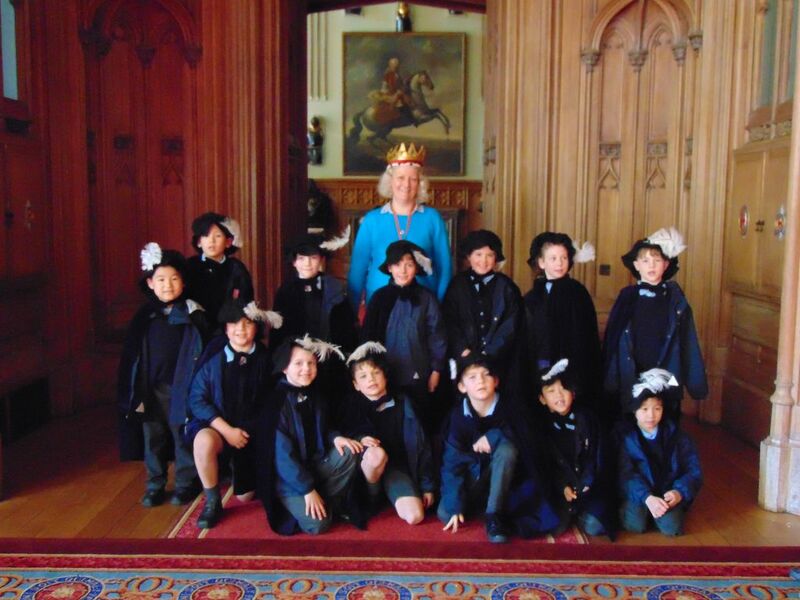 Some of the children got the opportunity to dress up as a page, a squire and knight; then they were all lucky enough to wear a cloak and hat and be knighted by our ‘Queen’, Mrs Markides! 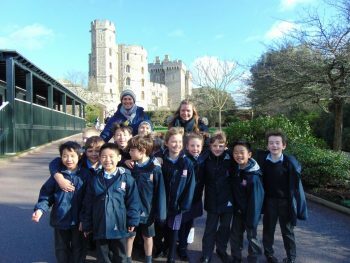 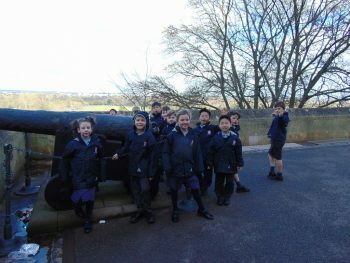 As we made our way back to the coach the children demonstrated their knowledge of castles which they had learned as part of their topic, pointing out the various features. 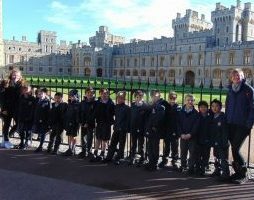 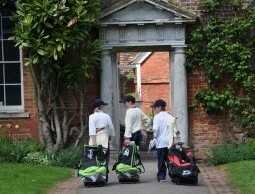 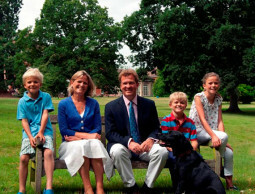 It was safe to say we had an astounding day exploring Royal Windsor Castle.